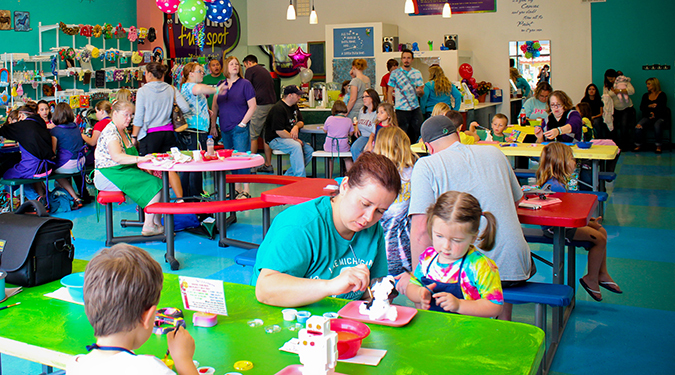 Plan your next special event at Painting Fun Spot. 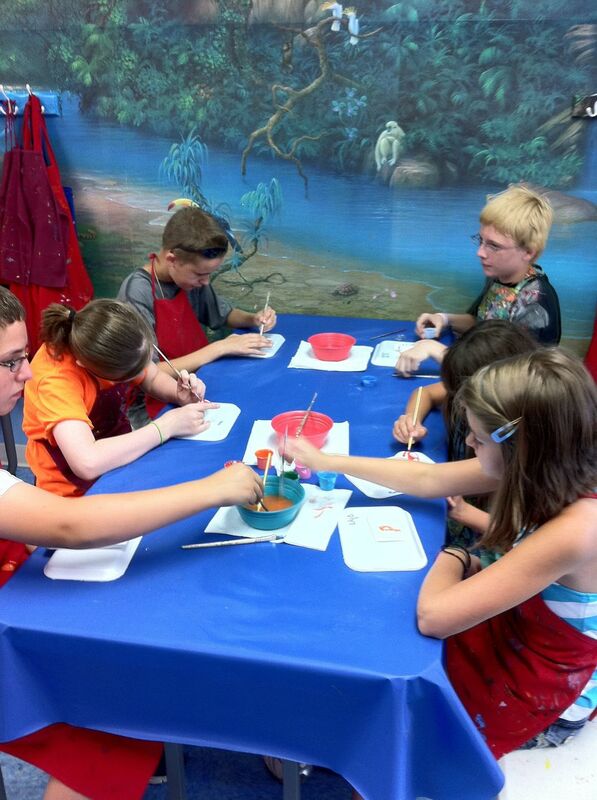 Painting Fun Spot is perfect to host your special event and we've hosted over 500 the past 7 years. We will help make yours stress free, fun and memorable. We can comfortably accommodate groups of up to 70 painters and we specialize in hosting much more common groups of 10 - 20 painters. We have plaster items, canvases, and bisque you can paint, as well as pottery you can glaze and then we fire to make dishwasher safe. PLEASE NOTE: Corporate and Non-Profit organizations (Schools, Church Groups, etc) with 10 or more Painters are eligible for awesome deals, call the studio for details or if you have any questions (260) 616-0350. At no cost to you, you can schedule your event with your guests and then just show up to paint at our art studio at that time. You won't have space guaranteed for your group but you will have the freedom to come in at any time you wish during business hours and no reservation fee. We ask that for groups of 6 or more artists to please call Painting Fun Spot 10 minutes in advance so that we can prepare for your arrival.